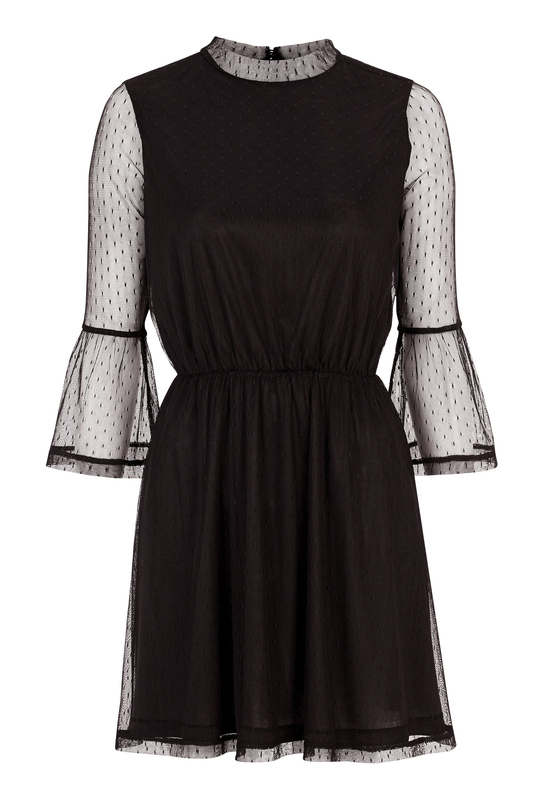 Cute mesh dress from Make Way. - Made using a stretchy quality. - The entire dress has been lined, excluding the sleeves and the small collar. - Closes using two covered buttons at the neck. - Length of the dress: 87.5 cm, in size S.